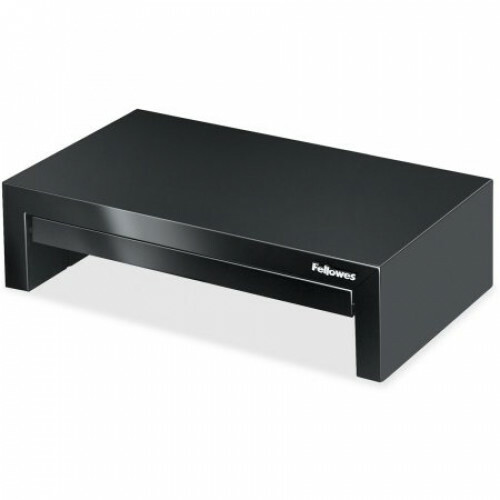 Supports monitors up to 21" or weighing up to 40 lb. Height adjusts up to 1 5/8", between 4 3/8" and 6" for customizable viewing. Offers 3 height adjustments to prevent neck and shoulder strain. Organize essential items in the storage tray, including pens and paper clips. Tray stows away to create a clean, tidy workspace. Every office requires versatile storage solutions for important paperwork, and a small filing cabine..
Large capacity trash can for high traffic areasPush Door with ''Thank You'' MessagePush Door: 20.625..